Board of Directors Afghan Telecom is clearly delivering results as it continues its journey of change, improvements in value for Money, continued growth of network capacity so more people are able to access and benefits of Telecommunications in a war torn Country, beside the improvements in customer services. We know that journey of change is not yet over, and we know there are areas of work needs to be developed; in both cases we are determined to succeed in becoming the customer centric competitive company customers will choose over competition, investors confidently invest in, and staff are proud to work for. The Board of Afghan Telecom is headed by the chairman to the Board, Ministry of Communication & Information Technology (MCIT) Shahzad Gul Aryobee & with him there are 5 Board members forming the Board of Committee of Afghan Telecom. Shahzad Gul Aryobee, Appointed as the Minister of Communications and Information Technologies Shahzad Gul Aryobee, the son of Wazir Gul, was born in Paktia Province in 1980. In addition to having completed his advanced education in the field of Business Administration, Mr. Aryobee has completed short-term professional courses in Computer Science, Information Technologies, PRINCE II, Project Management, Plans and Policy, and Programming for Results-Oriented Management. Added to this comprehensive educational curriculum is his UN Certification in Language Proficiency. 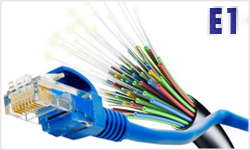 Mr. Aryobee’s specializations include e-Gov, ERP, ICT Infrastructure, Cyber Security and Networking. Furthermore, he is accomplished in the Pashto, Dari, English, and Arabic languages. Mr. Shahzad Gul Aryobee has been an active member of Afghanistan’s civil society and youth organizations since the time of the Transitional Government. Commencing his career as the database manager at the offices of UNOCA/MIS in Islamabad, Pakistan, and Mazar-i-Sharif and Gardez in Afghanistan, from 2000 to 2002, Mr. Aryobee was subsequently appointed in 2002 as Field Programs Officer at UNAMA/RRR in the Gardez regional office, a Project Management Specialist at UNDP/AIMS, the Project Development Manager at UNDP/AIMS, the Project Provincial Manager of Maidan Wardak Province for USAID/CPD, the Director of Coordination with the Government at USAID/CPD, and lastly as the Planning and Policy Advisor for the Ministry of Borders and Tribal Affairs in association with the World Bank’s CBR program. In 2015, he was appointed as the General Director of Asan Khedmat at Afghanistan’s Ministry of Finance. In this short time frame, despite the recentness of the organization’s establishment, he was able to take effective steps toward E-services in Afghanistan. During his official postings, enumerated above, Mr. Aryobee has played a significant role in attracting international assistance to Afghanistan while laying the groundwork for the implementation of major national projects in the country. According to Order No. 1572 of the President of the Islamic Republic of Afghanistan, dated 7 August 2017, Mr. Shahzad Gul Aryobee has been Appointed as the Acting and Nominated Minister of Communications and Information Technology, on the meritorious basis of the excellence of his performances in all his previous postings, as well as upon his notable academic accomplishments and the strength of his personal character. His Excellency Professor Dr Hadi Hedayati,Deputy Admin and Finance Minister of MCIT, Afghanistan. Dr. Hadi Hedayati associate professor was born in a family of intellectuals in Kabul city. He completed his elementary studies in Abdul Ali Mostaghni High School in 1996. Having successfully passed the National Entrance Exam, he continued his higher education at Science Faculty of Kabul University. In 2000, he obtained his BA degree and was later, selected as an academic member of the Science Faculty of the Kabul University. After completing and defending his research thesis on E-Commerce, he was promoted to the position of assistant professor. After securing a scholarship in 2006, he kept on his higher education in Western Cape University in the Republic of South Africa and obtained his Master’s Degree in the field of Communications and Information Technology (ICT). 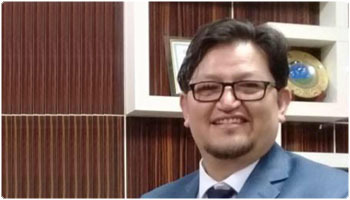 After returning home, he was promoted to the position of Associate Professor and the meantime, was appointed as the head of the Computer Science Department at the Faculty of Information Technology at Kabul University. After having written and defended his scientific treatise on Information & cyber security, Mr. Hedayati was promoted to the position of academic Professor. Using a state-owned Scholarship, in 2012, Mr. Hedayati attended a Doctoral program at the University of Talen in the Estonia. After successfully completing his doctoral research, Dr. Hedayati returned to the country and according to the proposal NO (131) dated 5/1/2017 of ministry of communication and information technology and decree NO (3490) dated 5/1/2017 of the presidency of Islamic republic of Afghanistan he appointed as deputy admin and finance minister of MCIT Afghanistan Dr. Hedayati after compiling of computer engineering book dated 7/6/2017 promoted to the rank of associate professor Dr. Hedayati has so far, published many scientific works through national and international Journals and Magazines and also has attended several national and international conferences on behalf of Afghanistan and ICT sector. During this period, in addition to his teaching job and academic researches, he has had technical and vocational engagement in various non-government projects, such as the UN, Japan’s JICA Business projects and etc.